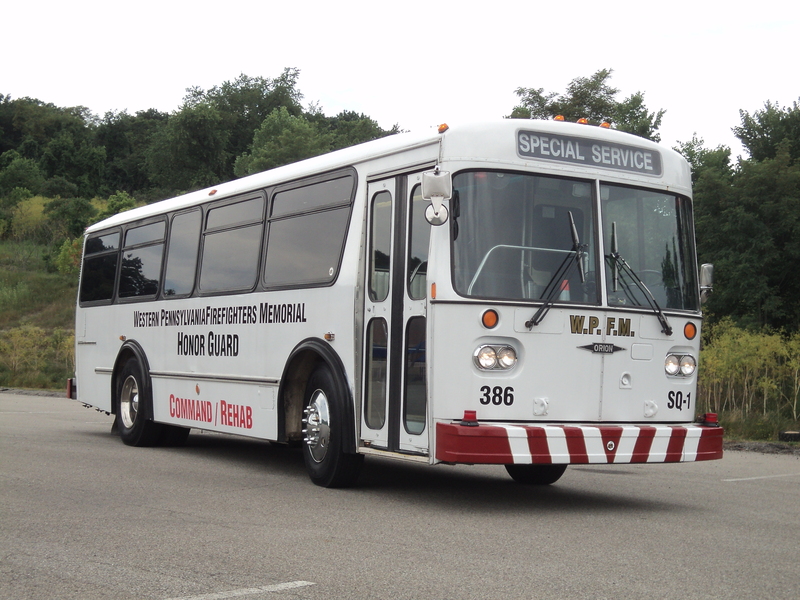 386 Squad 1 / 386 Rehab is an Orion Bus – Prime transport vehicle for the WPMHG. The unit is climate controlled having seating for 20+ and carries all of the ceremonial equipment for the Honor Guard and Pipes and Drums. The Bus also doubles as an emergency unit having Mobile Command and Rehab capabilities. There are three separate work stations on board and a radio desk having communication hookups on the UHF, Low Band, CB and weather networks. Squad 1 is also equipped with a small restroom facility to make it truly self contained. Rehab equipment, besides the bus itself, includes two 10x10 tents, portable chairs, and rehydration supplies. The new “Funeral 1” is in-service and ready for use. The gold-leaf has been added, she’s detailed, and the hose bed has been customly retrofitted with rollers, carpet and other special equipment to accommodate the carrying of a casket. We encourage our region’s fire departments to use the truck as a means to lay our brother and sister firefighters to rest with the dignity and respect they deserve. 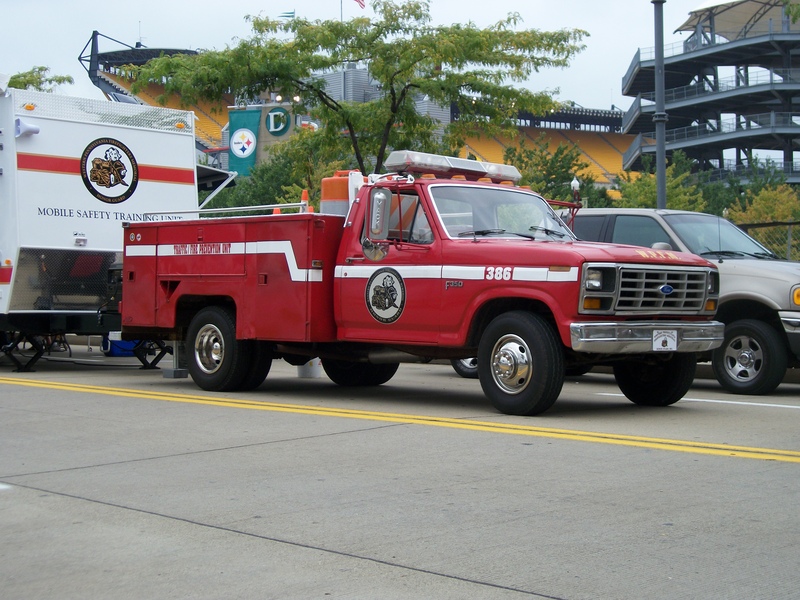 Utility 386 - Traffic / Fire Prevention Unit - "The Little Engine that Could"
386 Utility is a 1982 Ford F-350, utility chassis, prime mover. Its principle role for the WPFMHG is the tow motor for the Mobile Safety Training Unit. Like all of our equipment, its emergency role is a traffic unit. Utility 386 is equipped with 50 cones, four barrels, barricades, flares, traffic vests, and miscellaneous barricade lights. The Utility is also set up to assist in prime moving with trailer hookups for conventional and gooseneck hookups. It also carries the steps to funerals where they use an engine as a coach. 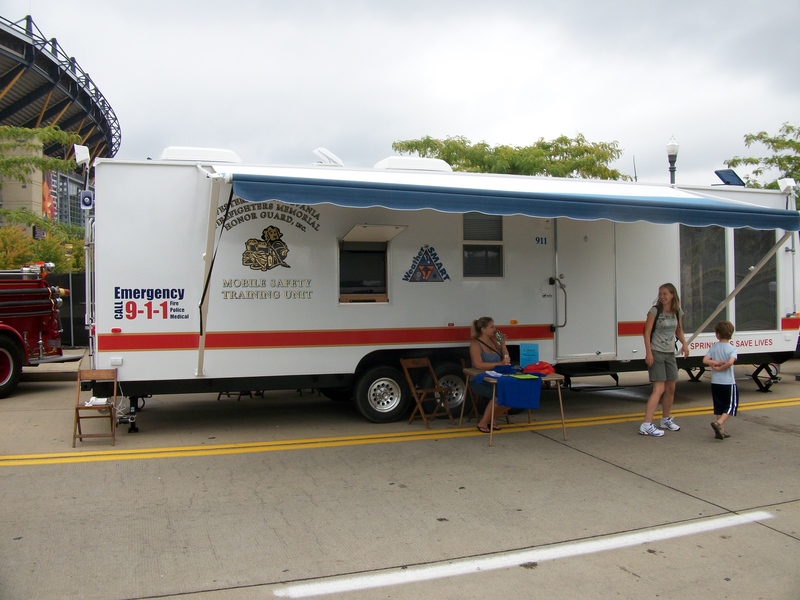 Mobile Safety Training Unit is a 2010 Scotty Fire Safety / Sprinkler Demonstration Combo Trailer. 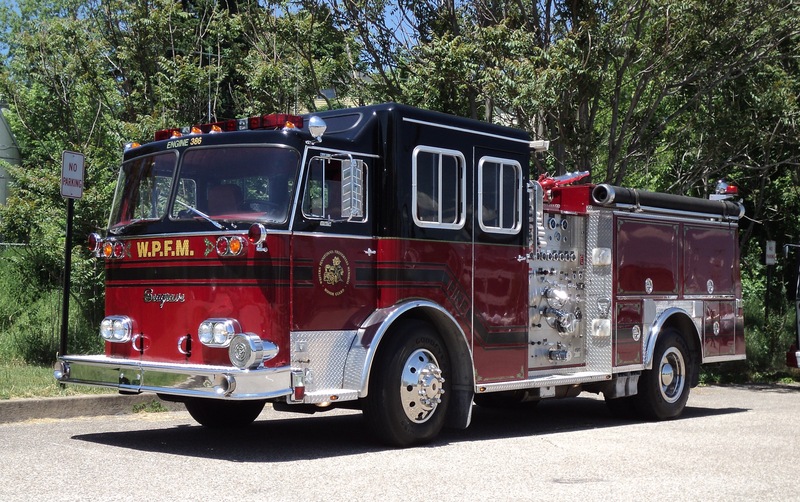 The 39’ Self-Contained Unit is the flagship of the WPFMHG Division of Fire Prevention. Additional information about the MSTU can be found on the Mobile Safety Training Unit page available on the left hand tool bar. The Unit was made possible through a 2009 FEMA Fire Safety and Prevention Grant that upgraded our former 1989 model. 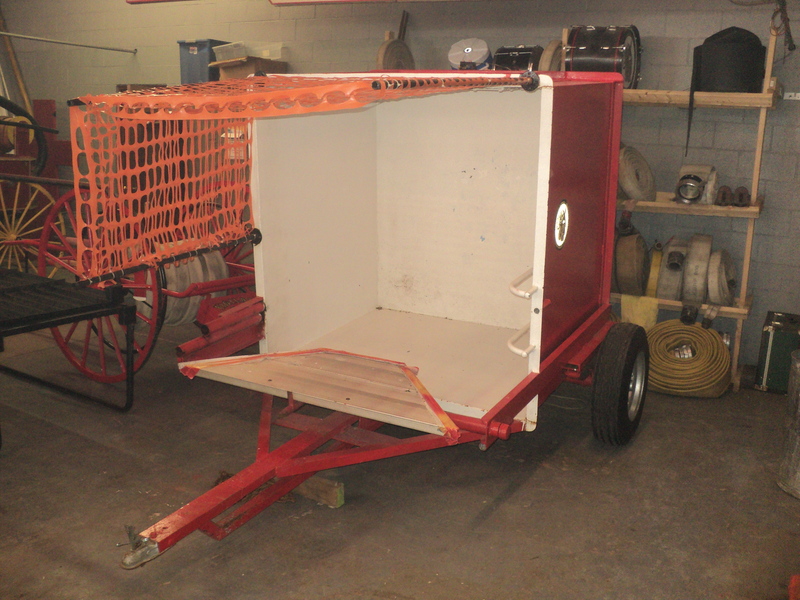 Dunk Tank Trailer – the WPFMHG makes openly available to the regions fire companies and municipalities our dunk tank trailer. The trailer is an all-in-one carnival booth that is designed to make you the funds. The trailer flips up and holds approximately 400 gallons of water and is manually triggered reducing any headaches of electrical appliances. 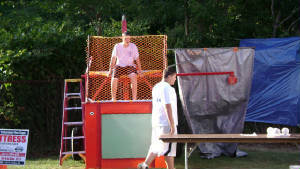 We even supply the balls; you just need is the volunteer willing to be “dunked”!